The town of Saint-Aubin offers a great variety of landscapes, too: in fact, only a few kilometers separate slope the tranquil shores of Lake Neuchatel rocky cliffs of the immense cirque Creux du Van, the largest nature reserve of the Jura region. Living Residences at the Marina, it's much more than living the waterfront: is opting for an exceptional quality of life. 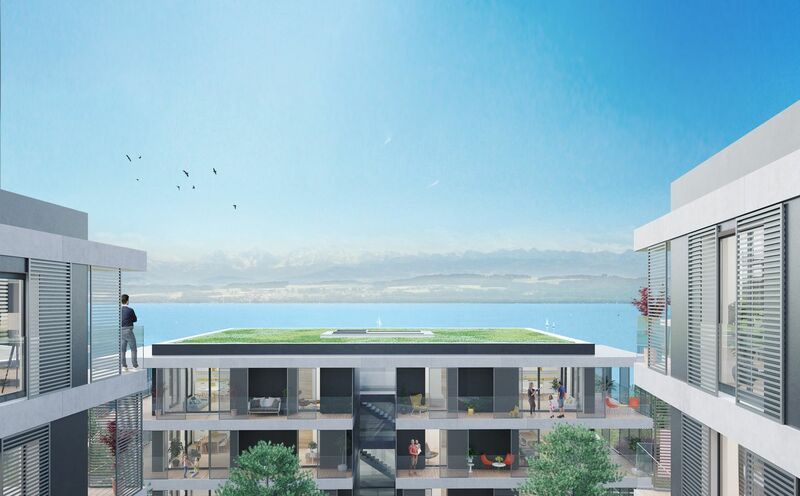 The site of more than 15,000 m2 actually enjoys a situation quite unique: a plot unobstructed, sweeping views of Lake Neuchâtel and the Port - mooring spaces are also available for future residents - and immediate proximity to nature and the village. 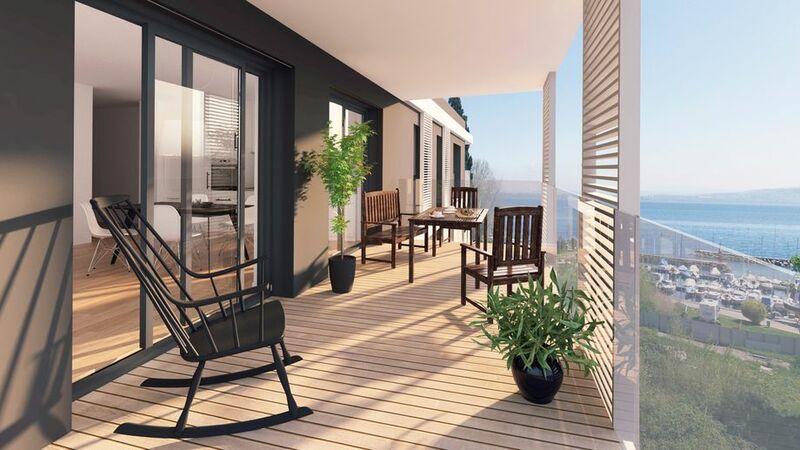 The lake and beach, accessible directly from the apartments is 250 meters away. The village, it is located within two minutes walk. VIEW. Les six buildings of three levels are arranged on a terraced terrain, so that housing lose nothing of the grandiose spectacle of nature: lake, mountains, vineyards, hills, sunrise and sunset. RELAXATION. A restaurant and a spa resort on the south side of the page, you give two good relaxation options. Housing suitable for disabled guests are also found near the complex. SUNSHINE. Thanks to the southern orientation of the plot, sunlight is ideal. 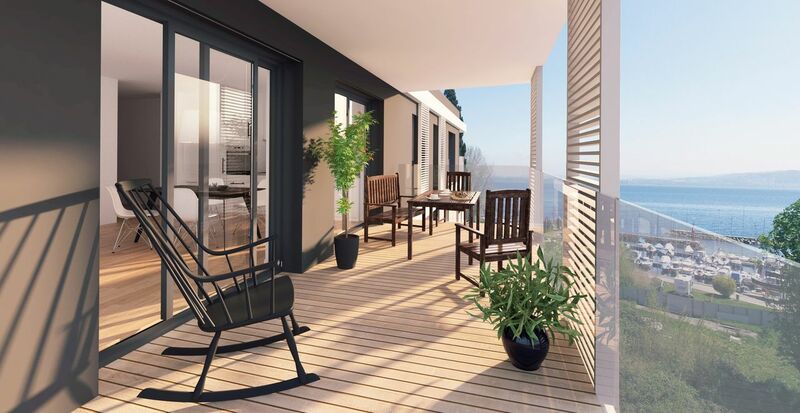 Generous panoramic terraces of the apartments upstairs and the private garden apartments. ARCHITECTURE. The Residences of the Marina are two sets of three buildings. Each building contains 15 units of upper range on three levels. Configurations range from 2.5 rooms to 5.5 rooms. All accommodations feature a spacious living room, open kitchen and a height of 250 cm ceiling. Designed for circulation without obstacles, they can be easily adapted to the disabled at any time.